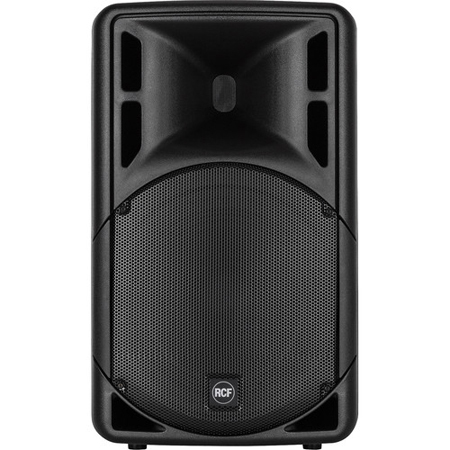 Part of the Art 3 Series MK4 line of speakers, the RCF ART 315-A MK4 is a lightweight (at 37.7 lb) and portable active speaker designed to deliver full-range sound with accurate high-frequencies, and controlled deep bass, for live sound reinforcement, distributed sound systems in clubs, corporate events, or mobile DJ setups. 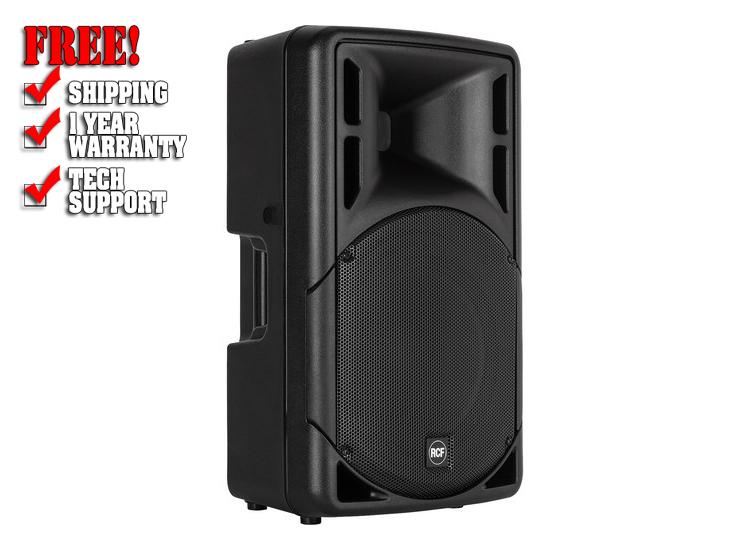 The ART 315-A MK4 is equipped with an 800W peak, Class-D digital amplifier, which drives 600W into the 15" woofer, and 200W into the 1" mylar-dome compression driver. 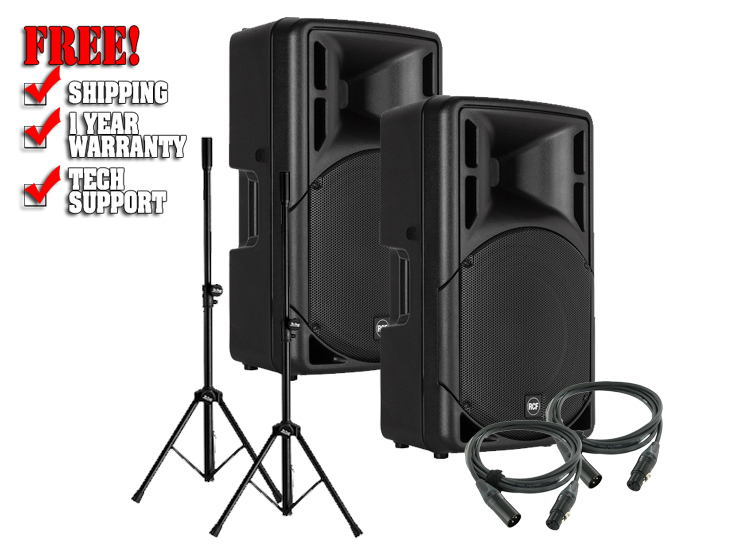 The speaker delivers a frequency response of 45 Hz to 20 kHz with a peak SPL output of 129 dB. The integrated DSP manages the loudspeaker processing, including crossover and EQ, soft limiter, and dynamic bass boost. Phase and amplitude are corrected using proprietary FiRPHASE technology conceived for delivering a natural and transparent sound, with a balanced stereo image. Easy to operate, the ART 315-A MK4 comes with XLR and 1/4" balanced/unbalanced inputs for connecting a microphone, mixer, or audio device, and with a volume knob to set the level. 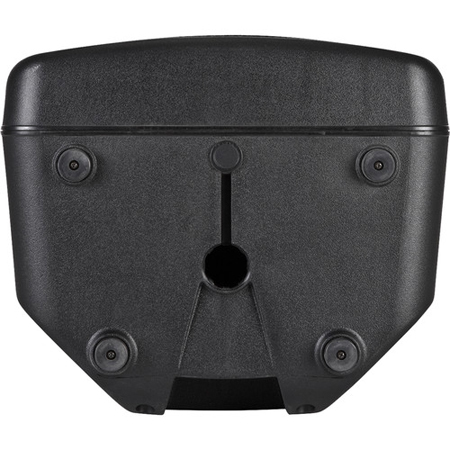 Furthermore, the switchable Flat/Boost mode enables you to emphasize the bass response when playing at low volume, or keep it flat for all other applications. 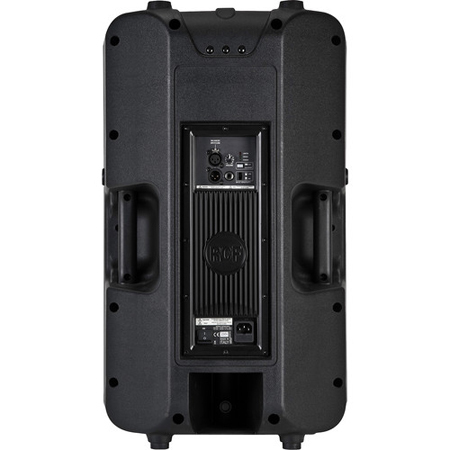 The cabinet is molded with rugged polypropylene composite material (PP), and designed to dampen vibrations, even at maximum volume settings. It features top and side handles, which allow you to firmly hold the cabinet and move it easily. 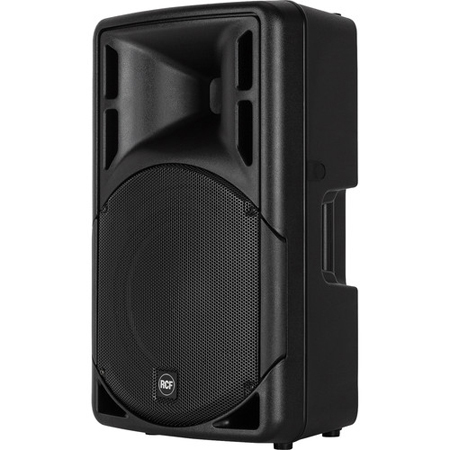 The ART 315-A MK4 can be mounted on a stand or a subwoofer pole, or positioned on its side to serve as a stage monitor wedge. Box Dimensions (LxWxH) : 22.0 x 14.5 x 14.5"